And, this isn’t just any ordinary Creamed Corn Chowder recipe, because that’s not how I do things. This Creamed Corn Chowder recipe has bacon in it, which makes it twice as amazing as regular corn chowder. 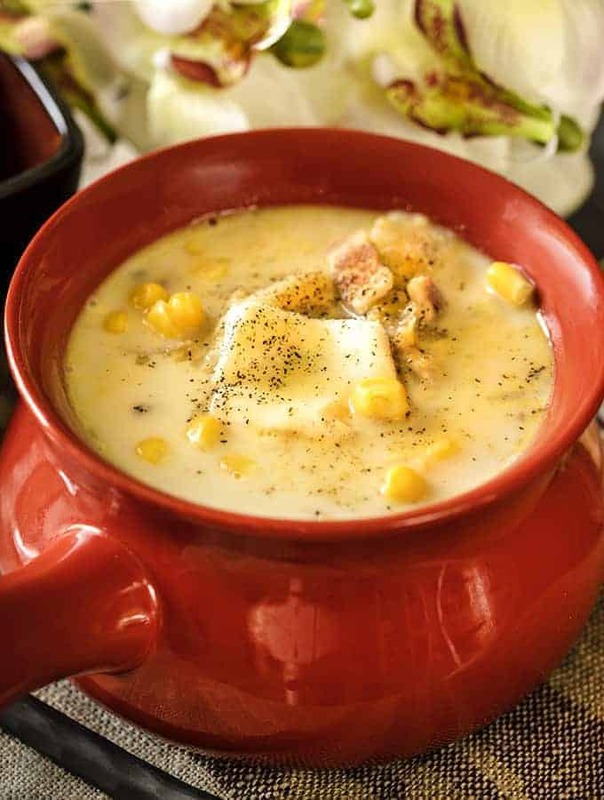 If you’ve never had Creamed Corn Chowder, you’re missing out. This is a classic chowder recipe that’s smooth and creamy. It’s the kind of dish you’ll want to make extra of so you have leftovers. Add bacon to that, and you’ve made a dish everyone is sure to enjoy. Or if you’re vegetarian or avoid pork, then of course, leave out the bacon and you should still have something lovely. I love using pressure cookers for soup recipes. A lot of the flavor in soups comes from good, hearty broths. My problem is that I hate making a deep, rich broth first, and THEN making a soup out of it. Too many steps, much too much planning for me. 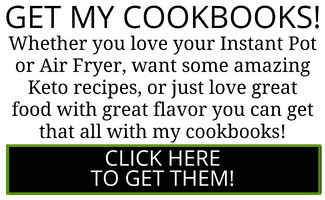 But pressure cookers are great at infusing flavor into stocks quickly. 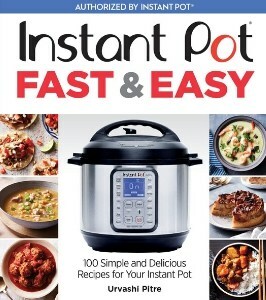 When I make soup in my Instant Pot, I’m getting a two for one–I’m making a rich broth but also cooking the other ingredients for the soup in at the same time. A A lot of people use their pressure cookers to make fantastic bone broths in less than an hour. 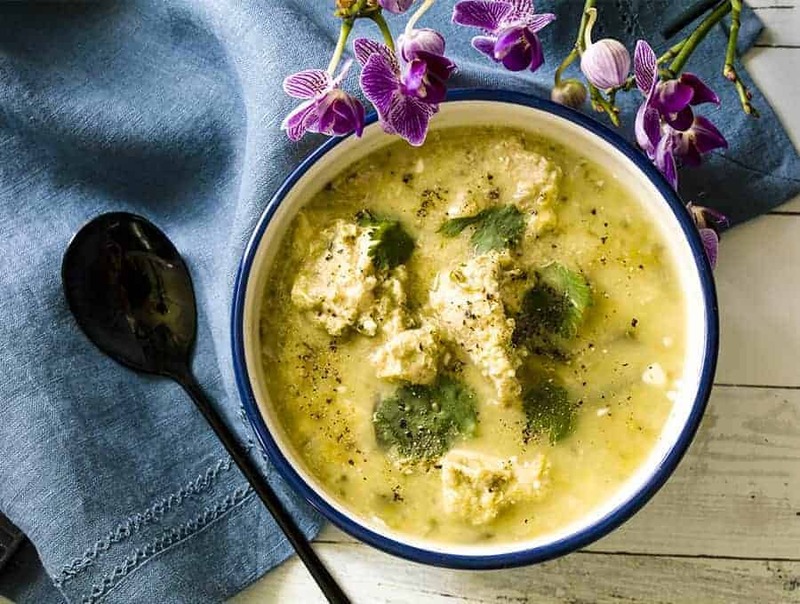 Those broths are typically much richer in flavor and are a lot more gelatinous, which makes it evident that you’ve extracted deep flavor and nutrition from the bones, but in very little time. I find that the same is true for vegetable broths and spices in that broth. Deep, rich flavor, no need to make the broth separately, and often, just a pour and cook recipe. It’s hard to argue with efficiency of that sort, isn’t it? Now sometimes, just to get a double whack of flavor, I do use chicken stock or this chicken bouillion powder. I mean, I feel like the more flavor the merrier. So for this recipe, that is what I did. 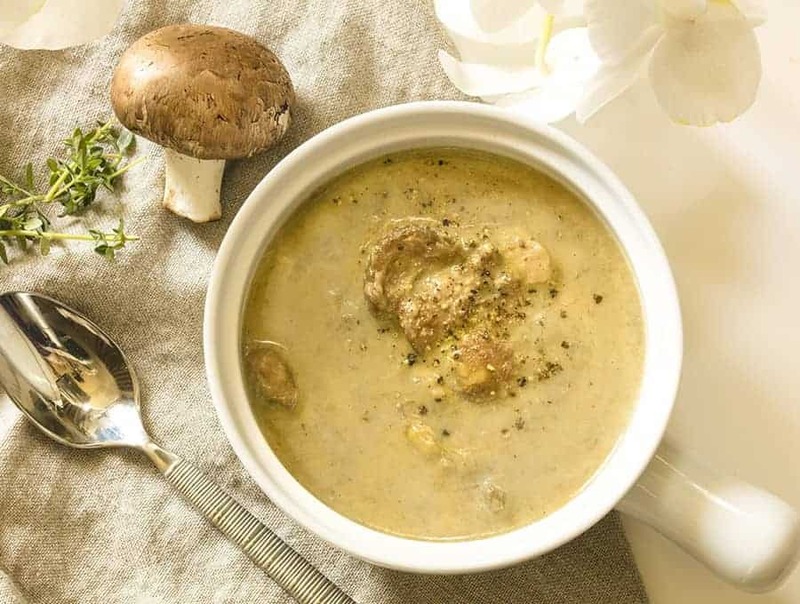 If byou like Instant Pot soups, you will probably really like my Spicy Cream of Mushroom soup. It’s such a fun twist on a classic, and so much better tasting! 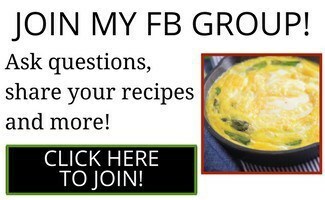 I also make an amazing Creamy Poblano Chicken Soup I think you should try. It’s very simple to make, and not too spicy to be enjoyable, and it’s made in the Instant Pot too. 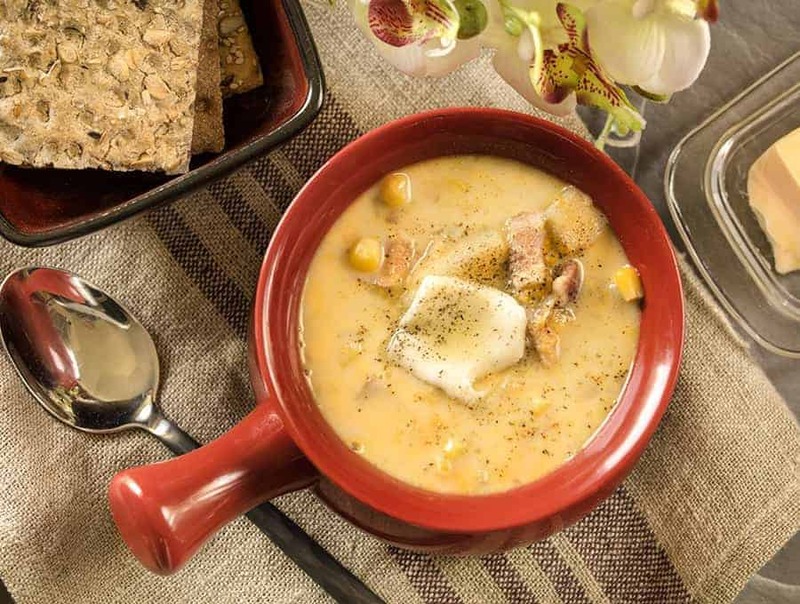 WHAT’S IN A PRESSURE COOKER CREAMED CORN CHOWDER? The easy answer is corn – haha! But, in my recipe I also add bacon, garlic, cream, potatoes, and chicken stock to give it bold, delicious flavor. 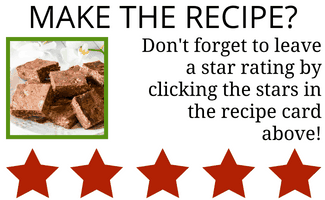 There’s more, but you can read it and the full instructions in the recipe card below. If you wanted to make this vegetarian, you could use vegetable stock, and omit the bacon. Either way, it turns out delicious! 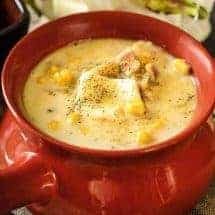 This Creamed Corn Chowder is a delicious chowder recipe you can make easily in your Instant Pot. It's creamy, gluten free and tasty! Place the chopped bacon (if using), onion, garlic, corn, potatoes, salt, pepper, thyme, and stock in the inner liner of the Instant Pot. Cook at high pressure for 5 minutes. Allow the pot to sit undisturbed for 5 minutes, and then release all remaining pressure. Use an immersion blender to roughly puree about soup so that it gets thicker but you have solid chunks of potato and corn still visible. Add the nutmeg and cream and stir well before serving.